In the previous article, I laid out my performance for Forex portfolio since inception and for the year 2016. This one will briefly lay out the equity/commodity portfolio performance. Briefly, because I don’t have much statistics on it than for FX……for now. Before going further, I should note: “Average price” includes Dividend Reinvestment Plan (DRIP) – the dividends I received were used to buy additional shares in the company. Since inception (summer of 2014), I’m down 31%. I’m currently holding 9 companies, including the ones I wrote article(s) about; GoPro (NASDAQ:GPRO), General Electric (NYSE:GE), and Cisco (NASDAQ:CSCO). I don’t have Eli Lilly (NYSE:LLY) since my broker doesn’t allow me to short. All shares of 9 different companies belong to 1 class: domestic equity. 59.4% is in large cap. 18.89% in mid cap. 3.66% in small cap. And 18.05% in “other domestic equity.” Will change the allocation this year; international equity, fixed income, etc. 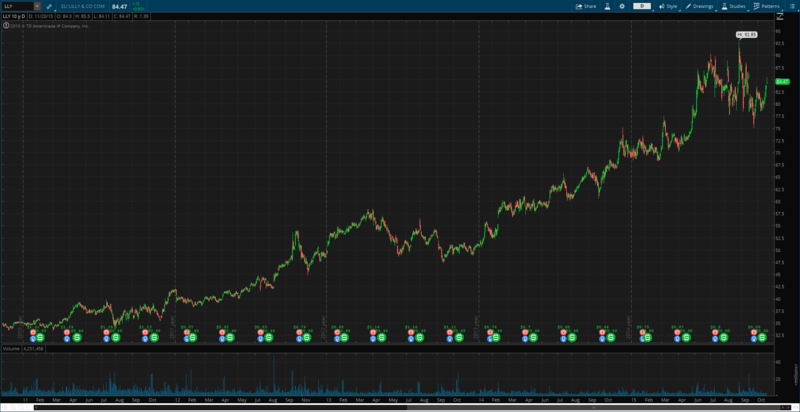 On February 16, 2015, I wrote about Microsoft (NASDAQ:MSFT) when the share-price was $43.95. Today, it’s trading at $62.14. I missed the opportunity to go long on it. On April 12, 2015, I wrote about GE and believed GE was a strong by (it still is). Since then, GE is up 12.30%, from $28.06 to $31.51 (dividends not calculated). Dividends are automatically invested in new shares. Average price I paid for the shares is $25.99. I’m currently up 21.24%. 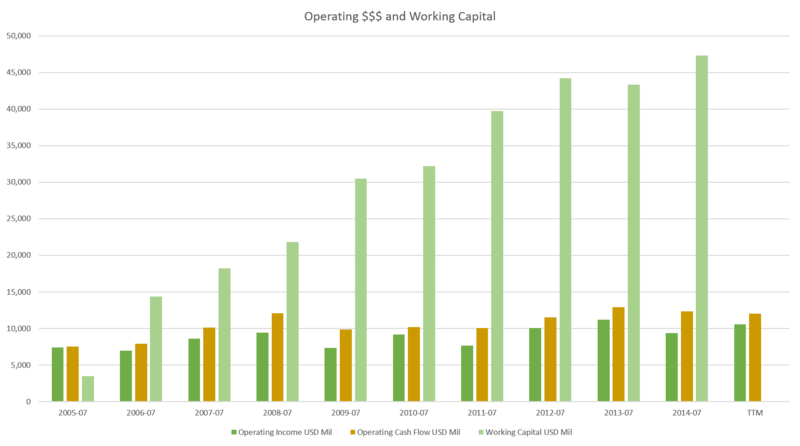 In the summer of 2015, I wrote about CSCO (part 1, part 2 AND 4Q FY’15 earnings report). Since the first article, CSCO is up 7.97%, from $27.99 to $30.22 (dividends not calculated). Average price I paid for the shares is $24.85. 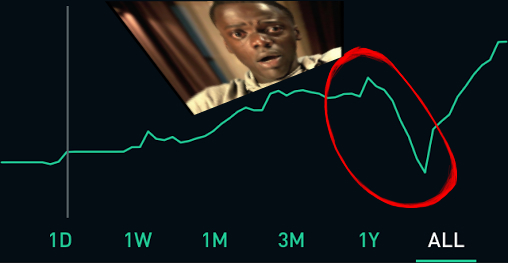 I’m currently up 21.61%. On November 21, 2015, I wrote my first article on LLY and believed it was overvalued (it still is). Since then, LLY is down 13.98%, from $85.50 to $73.55. Second article on LLY was posted very recently. On December 26, 2015, I wrote about GPRO and believed it was a buy. 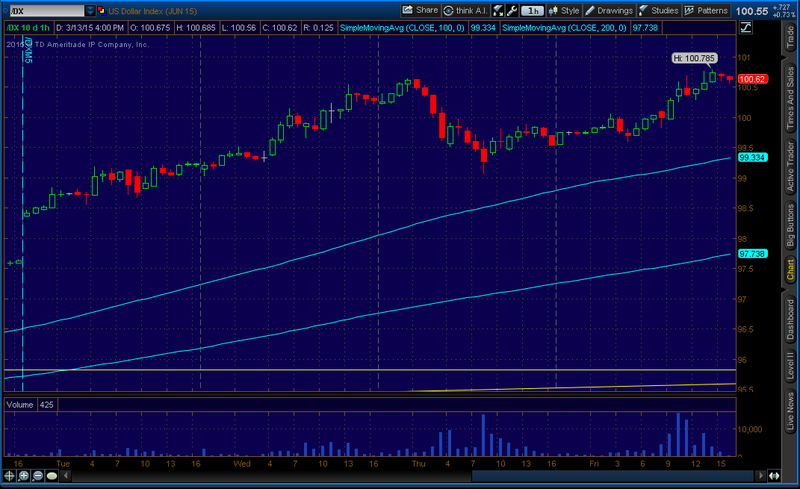 Since then, GPRO (and I) are down whopping 52.62%, from $18.34 to $8.69. 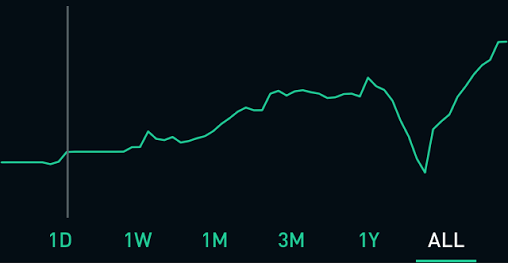 For the last year, my equity portfolio is down 12.61%. Because of $9.99 trade fee and low capital, I have refused to buy some stocks I wanted at times. I recently opened Robinhood, broker with $0 commission. I’m planning to use it to actively trade equities and commodities. As to commodities, I’m up 8.25% since inception (fall of 2016). I’m currently holding 50 shares of Direxion Daily Gold Miners Bull 3X Shares (NUGT), which is up 24.03%. I might change my broker to Interactive Brokers (IB) from TD Ameritrade, as IB offers more tools for portfolio analysis. If you didn’t like this performance/article, read the “Forex Portfolio Performance: Inception & 2016.” Maybe you’ll like that performance/article enough to like me again. If you do, follow me on Twitter (@Khojinur30). I tweet out my trades live. If you don’t, peace. UPDATE: This article is also posted on Seeking Alpha. For the first time, my article was accepted to be on Seeking Alpha. The link to the article on Seeking Alpha can be found here, or http://seekingalpha.com/article/3707566-eli-lilly-is-overvalued-too-costly-to-buy. On October 22, Eli Lilly (LLY) reported an increase in the third-quarter profit, as sales in its animal health segment and new drug launches offset the effect of unfavorable foreign exchange rates and patent expirations. Indianapolis-based drug maker posted a net income increase of 60% to $799.7 million, or to $0.75 per share, as its revenue increased 33% in animal health segment. In January 2015, Eli Lilly acquired Norvartis’s animal health unit for $5.29 billion in an all-cash transaction. The increase in the animal-health revenue helped offset sharp revenue decreases in osteoporosis treatment Evista and antidepressant Cymbalta, whose revenue fell 35% and 34% year-over-year, respectively. Eli Lilly lost U.S. patent protection for both drugs last year, causing patent cliffs. Lower price for the Evista reduced sales by about 2%. Total revenue increased 2% to $4.96 billion even as currency headwinds, including strong U.S. dollar, shaved 8% off of the top line in revenue. Recently launched diabetes drug Trulicity and bladder-cancer treatment Cyramza helped increase profits, bringing a total of $270.6 billion in the third-quarter. Eli Lilly lifted its guidance for full-year 2015. They expect earnings per share in the range of $2.40 and $2.45, from prior guidance of $2.20 to $2.30. Despite the stronger third-quarter financial results, I believe Eli Lilly is overvalued. Eli Lilly discovers, develops, manufactures, and sells pharmaceutical products for humans and animals worldwide. The drug maker recently stopped development of the cholesterol treatment evacetrapib because the drug wasn’t effective. Eli Lilly deployed a substantial amount of capital to fund Evacetrapib, which was in Phase 3 research, until they decided to pull the plug on it. The suspension to the development of Evacetrapib is expected to result in a fourth-quarter charge to research and development expense of up to $90 million pre-tax, or about $0.05 per share after-tax. Eli Lilly’s third-quarter operating expense declined 7% year-over-year, mainly due to spending on experimental drugs that failed in late-stage testing trials. Eli Lilly’s market capitalization skyrocketed over the past five years by 122.76% to $90 billion, but their revenue, gross profit, net-income, operating income, as well as EBITDA, declined significantly. Over the past five years, its revenue decreased 14.61% from $23.08 billion to $19.70 billion (LTM), largely due to patent expirations. Gross profit and net-income declined 26.06% and 53.48%, respectively. 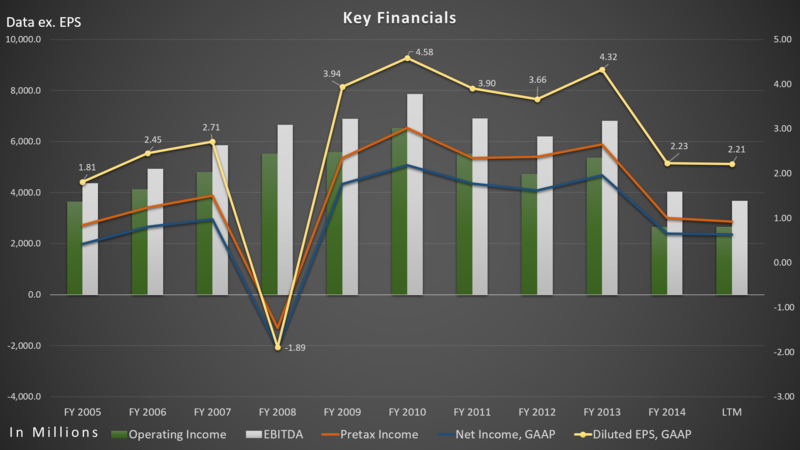 Its operating income fell 59.18% over the past five years. 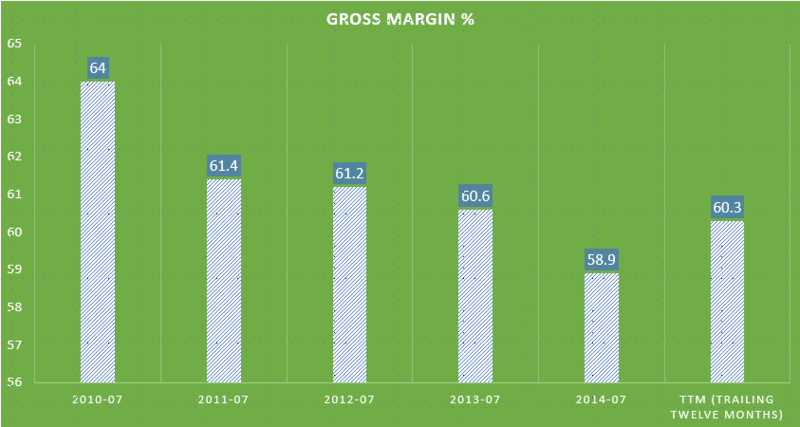 Its operating margin fell a halfway over the past five years from 28.30% to 13.53% (LTM). 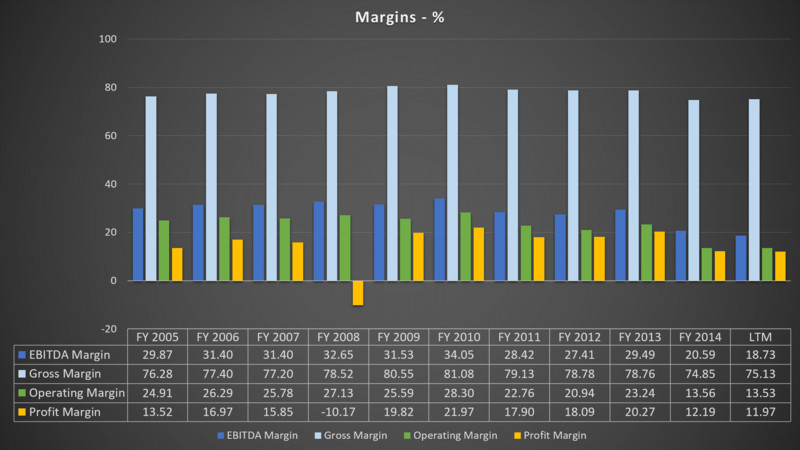 EBITDA margin, on the other hand, fell all the way to 18.73% (LTM) from 34.05%. Meanwhile, shares of Eli Lilly gained 144.49% over the past five years. Its price-to-sales ratio too high compared to its history and to S&P 500. Its Price/Sales ratio currently stands at 4.6, vs. at 1.7 in 2010, while S&P 500 currently stays at 1.8 and industry average at 3.9. In addition to the falling revenue, gross profit, net-income, and EBITDA, its free cash flow fell significantly over the past five years by 72.24%, or fell 22.61% on a compounded annual basis. 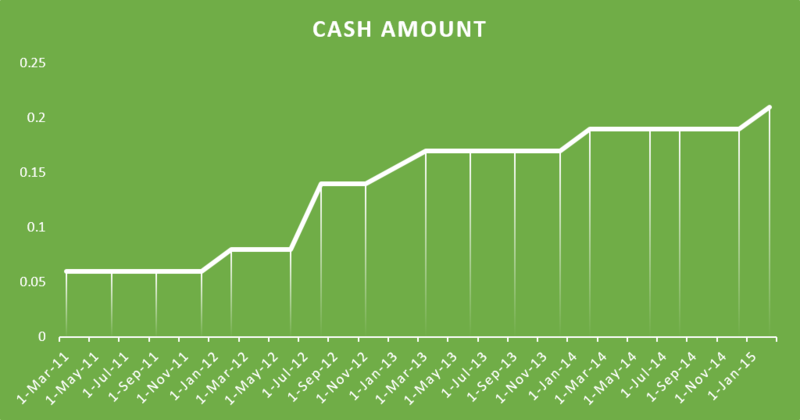 Not only did their cash flow fall, but their net-debt increased significantly. 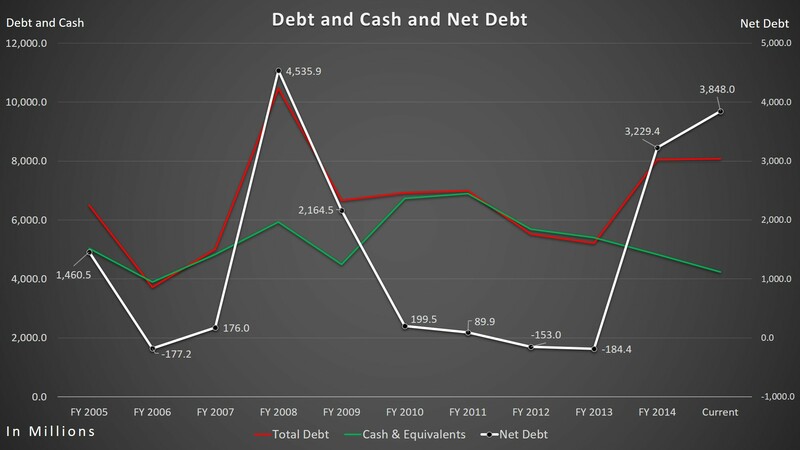 Its net-debt increased by a whopping 1789.87% over the past five years from $199.5 million to $3.85 billion. They now have almost twice as much of total debt than they do in cash and equivalents. I believe Eli Lilly is at a risk for poor future ratings by rating agencies, which will increase their borrowing costs. Strong U.S. dollar is an issue for Eli Lilly. Over the past five years, the dollar index increased 26.75%. 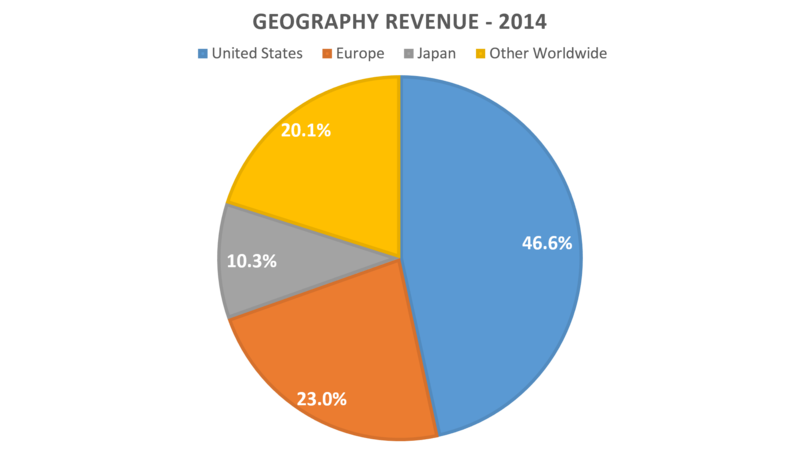 Last quarter, its 49.2% of revenue came from foreign countries. 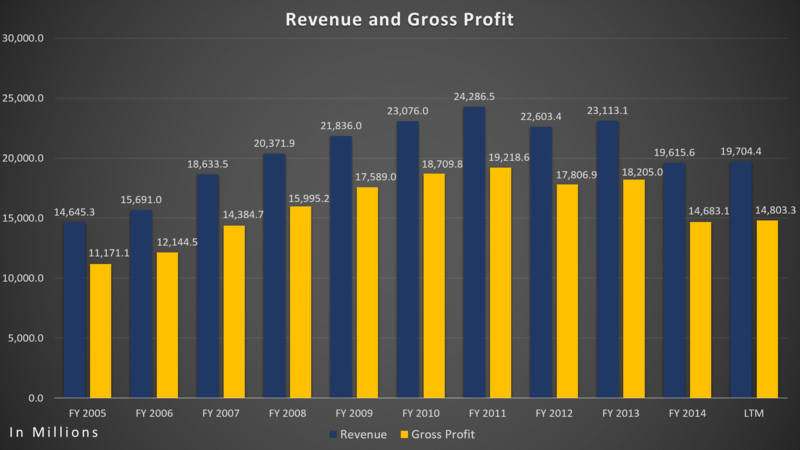 Its revenue in the U.S. increased 14% to $2.54 billion, while revenue outside the U.S. decreased 9% to $2.42. Eli Lilly’s dividend yield of 2.55% or 0.50 cents per share quarterly can be attractive, but it is undesirable. From 1995 through 2009 (expectation of 2003-2004), Eli Lilly raised its dividend. Payouts of $0.26 quarterly in 2000 almost doubled to $0.49 in 2009. Then, the company kept its dividend payment unchanged in 2010, the same year when its net-income, EBITDA and earnings per share (EPS) reached an all-time high. About four years later (December 2014), Eli Lilly increased the dividend to $0.50 quarterly. I still don’t see a reason to buy shares of Eli Lilly. The frozen divided before the recent increase was a signal that the management did not see earnings growing. With expected patent expiration of Cymbalta, their top selling drug in 2010, it is no wonder Eli Lilly’s key financials declined and dividends stayed the same. Cymbalta sales were $5.1 billion in 2013, the year its patent expired. In 2014, its sales shrank all the way down to $1.6 billion. Loss of exclusivity for Evista in March 2014 immensely reduced Eli Lilly’s revenue rapidly. Sales decreased to $420 million in 2014, followed by $1.1 billion in 2013. Pharmaceuticals industry continues to lose exclusivities, including Eli Lilly. In December 2015, Eli Lilly will lose a patent exclusivity for antipsychotic drug Zyprexa in Japan and for lung cancer drug Alimta in European countries and Japan. Both of the drugs combined accounted for revenue of $866.4 million in the third-quarter, or 17.5% of the total revenue. They will also lose a patent protection for the erectile dysfunction drug Cialis in 2017, which accounted for $2.29 billion of sales in 2014, or 11.68% of the total revenue. Besides the pressure from patent expirations, there is also regulatory pressures on drug pricing. According to second-quarter 10Q filing, Eli Lilly believes “State and federal health care proposals, including price controls, continue to be debated, and if implemented could negatively affect future consolidated results of operations.” During the third-quarter earnings call, CEO of Eli Lilly, John C. Lechleiter, said that price increases reflects many of medicines going generic and “deep discounts” government mandates for large purchasers. 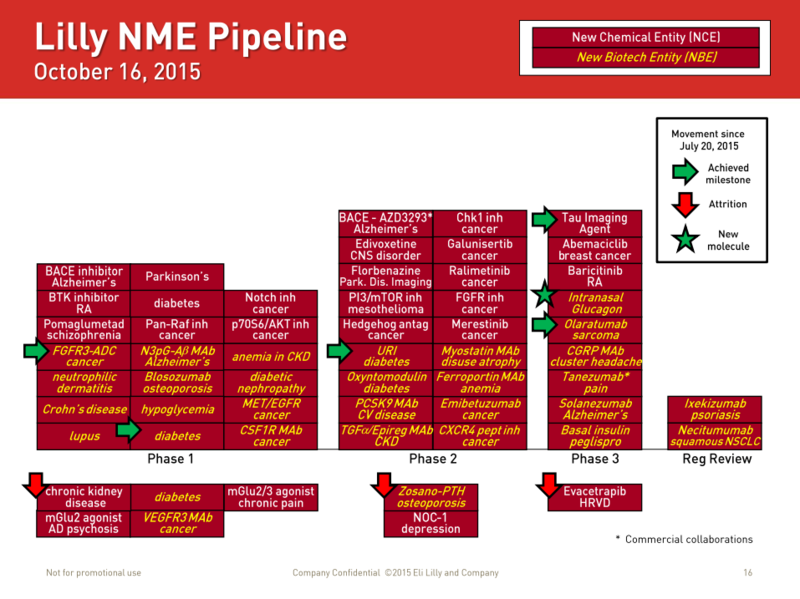 As of October 16, Eli Lilly had two drugs under regulatory review, nine drugs in Phase 3 testing, and 18 drugs in Phase 2 testing. Since the end of July, the drug maker terminated the development of few drugs, including evacetrapib in Phase 3, two drugs in Phase 2, and five in Phase 1. Out of total eight drug termination, only five drugs moved to the next stage of testing. 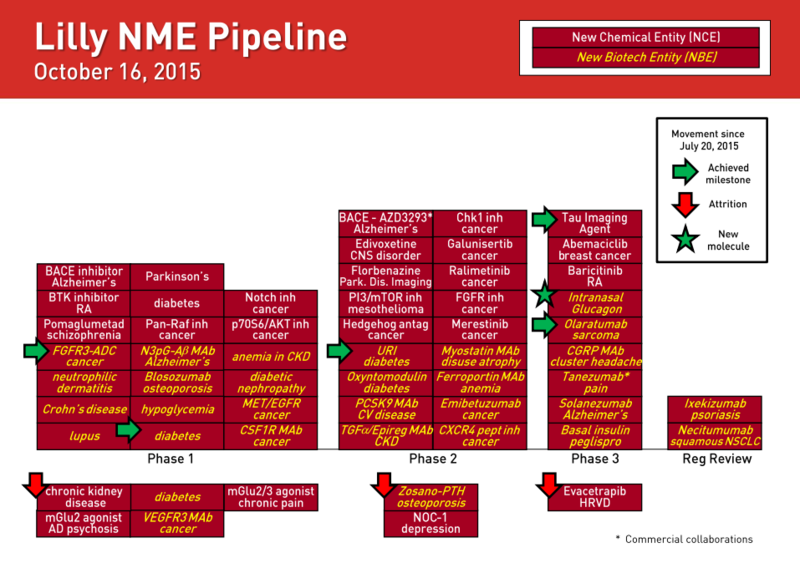 I view the recent termination of evacetrapib as a major setback. Compared to its peers, LLY’s Price-to-Earnings ratio is too high. Its P/E ratio (on GAAP basis) stands at 38.22 while industry average stands at 17.7. Four of its main peers, Pfizer (PFE), Johnson & Johnson (JNJ), Merck (MRK), and Sanofi (SNY) P/E ratio stands at 24.08, 19.63, 14.41, and 22.38, respectively. Negative trends, tighter regulations, increasing competition and slowing growth makes Eli Lilly’s current valuation unjustified. I believe it will reach an average P/E ratio of its four main competitors, at 20.12, in the next three years. I expect EPS (GAAP) to contract. With current EPS of $2.21 (LTM, GAAP) and P/E ratio of 20.12, share price would be worth $44.46, down 47.37% from current share-price of $84.47. As EPS contracts, the share price of Eli Lilly will be much further down from $44.46 in the next three years. Disclosure: I’m not currently short on the stock, LLY, at this time (October 21, 2015). On April 23, 2015 (Thursday), Microsoft (NASDAQ: MSFT) reported its Earnings Release FY15 Q3 that exceeded analyst’ estimates for both revenue and earnings. Microsoft reported revenue of $21.73 billion for the quarter, up 6.5% year-over-year. Net income fell to $4.99 billion, or 61 cents per share, from $5.66 billion, or 68 cents, a year earlier (10% decline year-over-year). Microsoft’s restructuring plan announced in July 2014 (job cuts) and the ongoing integration of the Nokia Devices and Services business, which Microsoft acquired for $7.2 billion last year, had $190 million, or a $0.01 per share negative impact. Satya Nadella, CEO of Microsoft, has been changing strategy to focus more on cloud and mobile software, since demand for PCs are decreasing as new technologies are replacing the PCs. Cloud revenue is growing. Overseas sales have been hurt by a strong dollar and geopolitical concerns in Russia and China. The currency fluctuations, including a strong dollar had a significant impact on results. Excluding the effect of Forex market, revenue and gross margin would have grown 9% and 4%, respectively, and operating income and EPS would have declined 4% and 7%, respectively. Cloud software sales increased, while demand for personal computer product decreased. Personal computer are dead-end. Commercial revenue grew 5% to $12.8 billion, led by commercial cloud which grew 106%. Cloud market is gaining traction and I believe Microsoft is doing the right thing by focusing more on the cloud market. Microsoft 10 operating system is coming. Microsoft is offering free upgrades for some customers. Microsoft is hoping that their PC sales will increase after the launch of Windows 10. At Build Conference, Microsoft announced the Windows Holographic Platform for developers to develop apps for HoloLens. Developers would love to get their hands on HoloLens. Microsoft still hasn’t disclosed the price and when it will be released. I still believe HoloLens will be the next “Big Thing”. Windows 10 could the first universal Operating System. We soon will find out. Investors loved the earnings report. The stock rose more than 10%. As stated in my previous post about MSFT ( http://www.outofwacc.com/microsoft-earnings-game-changer-product-hololens/ ), I said that the fall in the stock’s price was a good buying opportunity. If you took my suggestion, you now have more than 10% return. I still haven’t brought MSFT. I may have missed the opportunity. 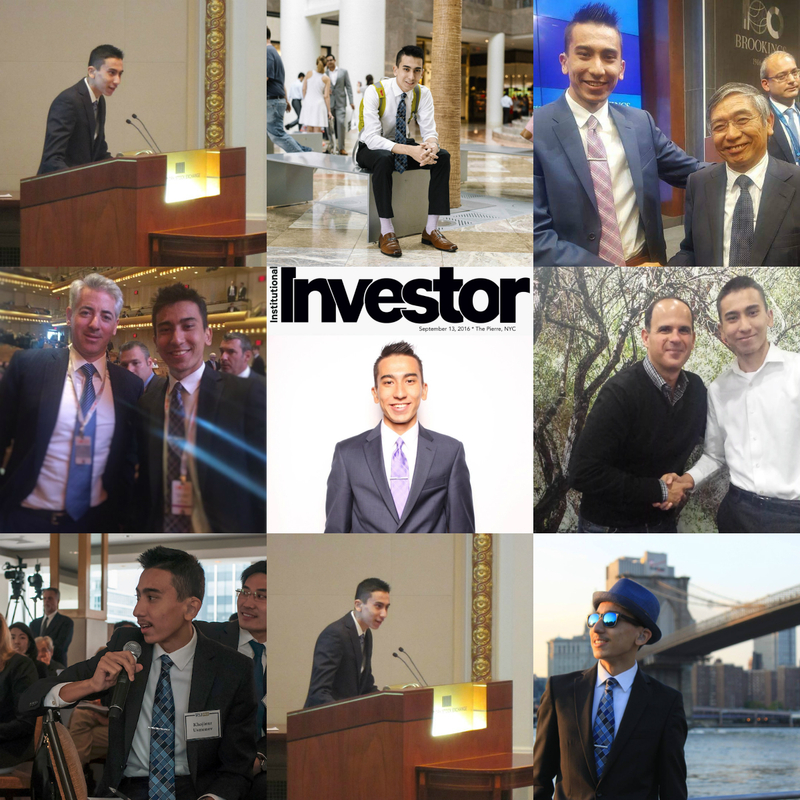 Though my experience in investing, I learned that you should not let your emotions effect your investment decisions. If you missed the opportunity, you missed one of many. There are many other opportunities. All you got to do is catch them. I still may buy MSFT soon, even at its current price. If you have any questions or comments, feel free to comment below and/or contact me by going to “Contact Me” page. Thank you. Last Friday (April 10, 2015), General Electric (GE) announced a plan to sell off real estate and reduce the size of their financial business. They will be selling majority of GE Capital Real Estate assets for about $26.5 billion. GE will also sell away the remaining portion of GE Capital. It aims to complete the sale of GE Capital over the next two years. GE’s financial unit is one of the largest financial entities, with assets of half a trillion dollars. It includes everything from consumer loans to property. When the financial crisis hit, earnings from GE’s finance unit collapsed. There were (still is) strict regulations on financial services. As a result, Jeff Immelt, CEO of GE, promised to shrink the finance arm. Ever since the financial crisis, G.E. has taken small steps to shrink its finance operations. Last year, it spun off its private-label credit card business, known as Synchrony Financial (Ticket: SYF), for $2.9 billion initial public offering (IPO). To who? GE said it would sell nearly all of its real estate portfolio to investors including Blackstone Group and Wells Fargo & Co for $26.5 billion. There are a further $165 billion of assets that needs to be sold. There will be buyers other than Blackstone Group and Wells Fargo & Co. The company plans to keep the finance assets directly related to selling its products such as jet engines, medical equipment, and electrical grid gear. Remember; Warren Buffett has a stake in both GE and Well Fargo. I believe Warren Buffett will be increasing his stake in GE. Why now? GE is selling their real estate and financial business for two reasons. First, commercial real estate prices are up. 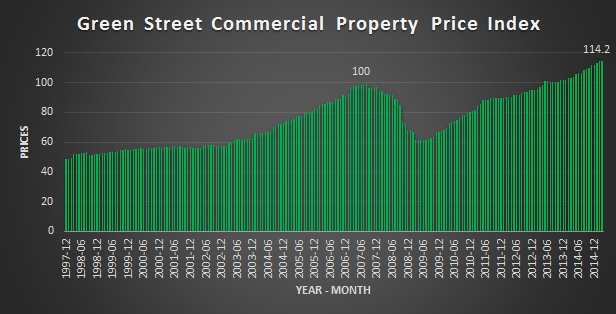 Commercial real estate prices are higher today than it was before the financial crisis. Lastly, rates are still low. If the Fed hikes interest rates (cost of borrowing rises), it will be unattractive to finance any deal. Therefore, it’s a perfect time to take an advantage of the low rates and the high prices. GE is taking the right move, by focusing more on industrial sector. By beginning to sell $26.5 billion worth of real estate assets, GE will be returning to a kind of company it is supposed to be, an industrial company. GE’s operations include jet engines, oil drilling equipment and medical devices. I would not be surprised if GE makes industrial acquisitions, both small and big. I would not even be surprised if GE merges with another industrial business. Investors are very happy with the deal, including me. 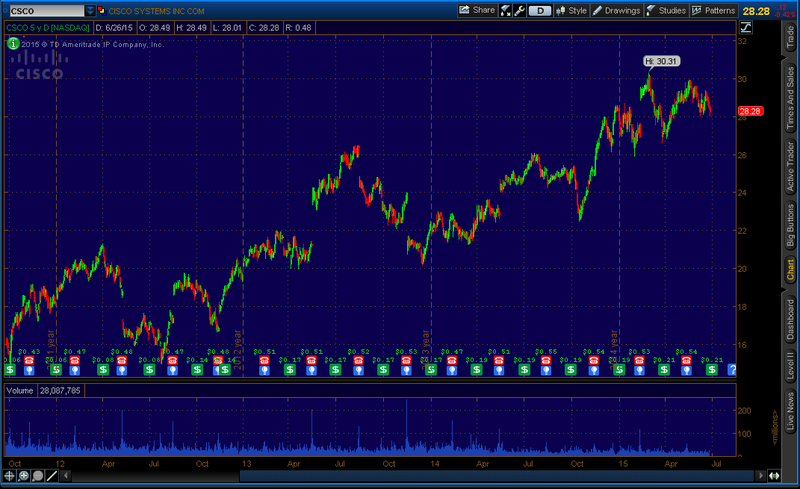 General Electric’s stock (Ticker: GE) rose more than 10%, on a heavy volume, to $28.68, highest since September 2008. On Friday, more than 350 million shares (GE) were traded. GE expects to return more than $90 billion in cash to investors through dividends, share buybacks and the Synchrony exchange through the end of 2018. $50 billion will come from a share repurchase program, one of the biggest on record. As of January 31, GE had 10.06 billion shares outstanding. GE expects to reduce it by 20% to 8-8.5 billion by 2018. In the longer term, the stock price will continue to increase. Not only GE wins here, but also Uncle Sam. GE will bring back $36 billion in cash that resides overseas and will have to pay tax to the U.S government, ranging from $4 billion to $6 billion. GE said it would take after-tax charges of about $16 billion for the restructuring in the first quarter, with $12 billion being non-cash charges. It will reduce their Earnings Per Share (EPS). On Friday (April 17, 2015), GE will report their first quarter earnings. 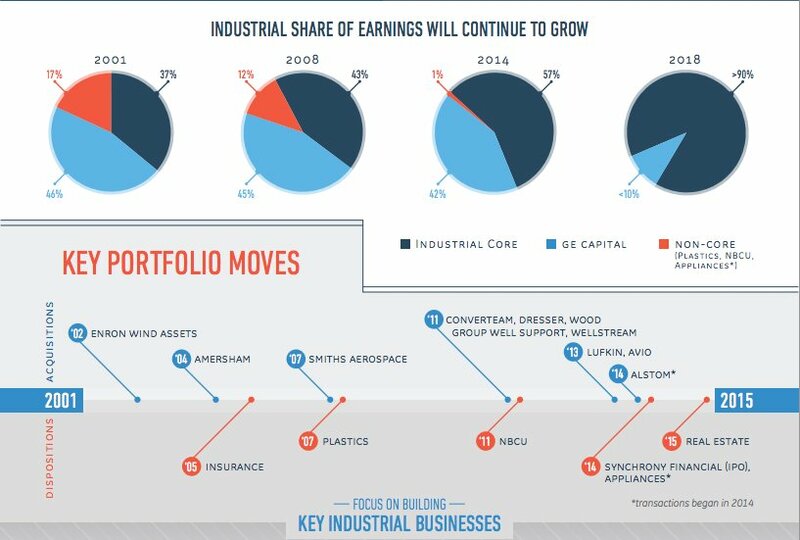 GE expects that by 2018 more than 90% of its earnings will be generated by its industrial businesses, up from 58% in 2014. Note: I currently own shares in GE, which I brought last year at $25.83. I plan to hold on to it. I may even buy more shares. I believe GE’s share-price will reach $38 by the first half of 2016. If you have any questions, feel free to contact me, and/or leave comments. Thank you. UPDATE: Click http://www.outofwacc.com/ges-slight-positive-earnings-report-and-its-about-to-change/ or click here. Update on Microsoft, RBNZ, and upcoming events to watch out. Update on MSFT: I’m still watching MSFT (Microsoft stock ticker) for good entry. I will go long on it in the future at a good entry price. Microsoft stock and other blue chip stock fell after Intel slashed revenue outlook due to weak PC demand. 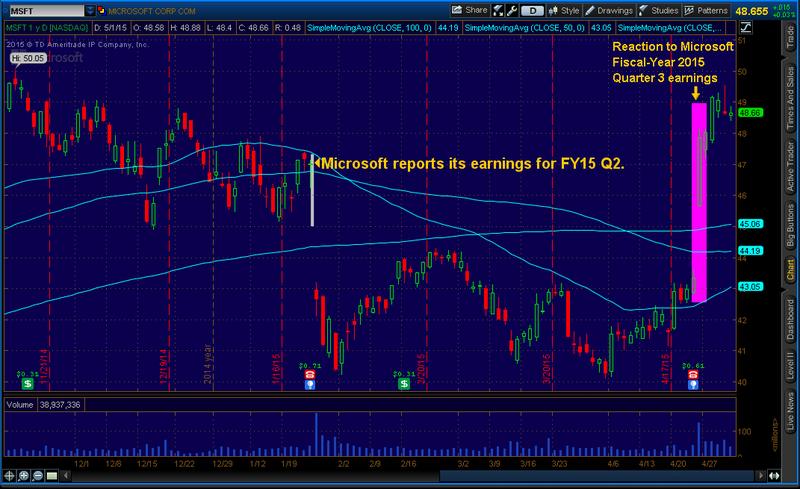 The decrease in the price of MSFT is still a good buying opportunity. Last Wednesday, Reserve Bank of New Zealand left the Official Cash Rate unchanged at 3.5%. NZD (Kiwi) quickly reacted by rising as it disappointed traders who were looking for rate cut. In a statement by the Reserve Bank Governor Graeme Wheeler, cited that the New Zealand dollar “…remains unjustifiably high and unsustainable in terms of New Zealand’s long-term economic fundamentals.” I still believe that RBNZ will intervene and send NZD down, if not by rate-cut. 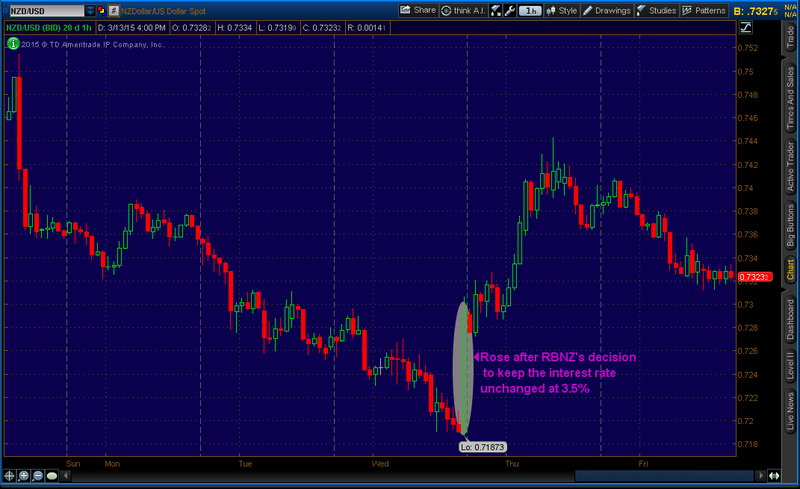 I would be short on NZD/USD, at this time. Upcoming: Bank of Japan (BoJ, Late Monday/early Tuesday – March 16/March 17 EST), Federal Reserve (Wednesday – March 18 – 2 P.M EST) and Swiss National Bank (SNB, Thursday – March 19 – 4:30 A.M EST). BoJ will either hold or increase the stimulus package. If they do, JPY (Yen) will be bearish–sending USD/JPY further up–after rising to over 121.00 this week. If they don’t, we have to watch for their tone. 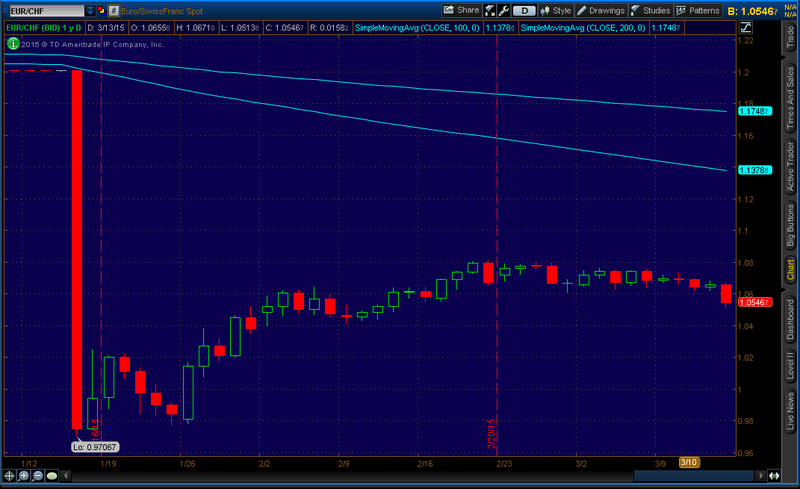 It will be either bearish or bulling on the Yen, depending on what BoJ say, or react. 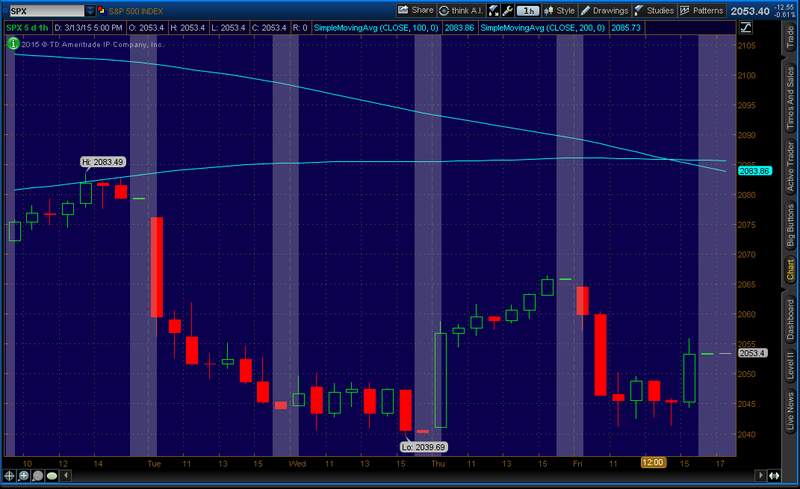 Federal Reserve will be watched very closely after a very positive non-farm payrolls last week. This week, U.S stocks were a roller coaster. There was a hard sell-off in equities and a bullish USD (U.S Dollar), due to an increasing chance of rate-hike. On Thursday (March 12, 2015), Retail Sales came out very negative. Retail Sales fell 0.6% (-0.6%), worse than expected of 0.3%, following -0.8%. Core Retail Sales (excluding automobiles which accounts for 20% of Retail Sales) fell 0.1% (-0.1%), worse than expected of 0.6%, following -1.1%. However, it was little better than previous report in February. I believe people who are saving money from low oil-prices are probably paying off their debts, before they spend on “wants”. The U.S market reacted positively because some people thought that negative Retail Sales would hold-off the Federal Reserve from raising the interest rates. On Wednesday, the Fed might also drop “patient”, signaling that rate-hike is very close. SNB might set a new floor to the exchange rate (EUR/CHF). I would not trade CHF (Swiss Franc) because of two reasons. One, it’s too violent and there is no clear direction yet. Second, SNB does not know what it’s doing after what they did in January. 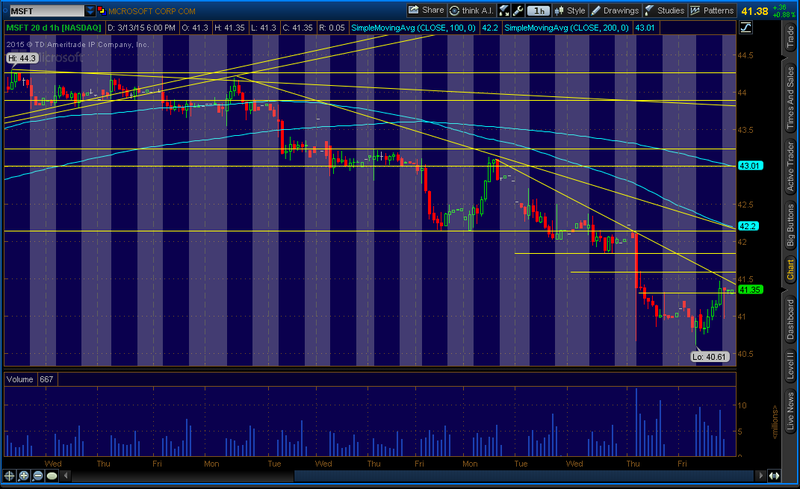 But, I would still watch out closely, as it might affect other pairs, such as EUR and USD. Author Khojinur UsmonovPosted on March 15, 2015 March 22, 2015 Categories Equities, Forex, Indices, Japan, New Zealand, Retail Sales, SwitzerlandTags bank of japan, blue-chip stocks, boj, BoJ stimulus, CHF, Core Retail Sales, debts, equity, EUR/CHF, federal reserve, financial markets, Intel, JPY, kiwi, Microsoft, MSFT, New Zealand dollar, nzd, nzd/usd, patient, rate cut, rbnz, RBNZ governor Graeme Wheeler, reserve bank of new zealand, retail sales, snb, stock, Swiss franc, swiss national bank, U.S dollar, U.S equities, U.S indices, U.S stocks, USD, USD/JPY, yen1 Comment on Update on Microsoft, RBNZ, and upcoming events to watch out. On January 26, 2015, Microsoft reported their quarterly financial results for FY15 Q2 (FisicalYear 2015, Quarter 2 – ending on December 31) and it was below what analysts expected. Thomas Reuters had consensus estimates of $0.71 in earnings per share on $26.33 billion in revenue. Microsoft reported a revenue of $26.470 billion from $24.519 billion in the previous year, 8% increase. 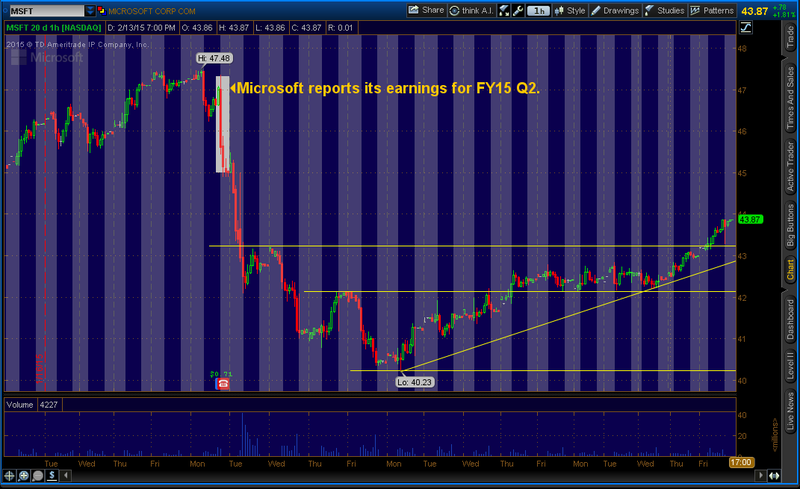 Microsoft reported earnings of $0.71 per share from $0.78 in the previous year, 9% decrease (Diluted EPS). Microsoft stock (MSFT) dropped almost 4% after-hours or from around $47 (4 P.M) to about $45.50 (5 P.M). It continued to drop. The next day, the stock opened at $42.96 and finished the day at $42.6 7. From the announcement of financial results to the next day, the stock dropped about 10%. As of right now, it’s around $43.50. I view this as buying opportunity even it rose after almost $3 in almost 2 weeks. I will explain why MSFT is great stock down below. Microsoft’s numbers looked weak because of currency and a restructuring charge. U.S dollar has been getting strengthening for some time now. It’s having a bad effect on international companies. Microsoft’s (International Company) international sales are being converted into fewer dollar, for now. Plus, Microsoft cannot control what happens to Forex market. In the last quarter, Microsoft had $243 million in restructuring charges, $0.02 per share negative impact. It comes from the integration of the Nokia Devices and Services business. Phone hardware revenue came at $2.3 billion, with 10.5 million Lumia units sold. It was successful. $0.04 per share loss came from IRS audit adjustment. Restructuring charges (-$0.02) and IRS audit adjustment (-$0.04) are temporary or one-time events. Succesful revenue from hardware and one-time losses are the two reasons to buy Microsoft stock (MSFT). Another reason is Microsoft’s acquisitions of small companies that has potential to grow a lot. Recently, Microsoft announced an acquisition of Revolution Analytics, Equivio and Sunrise. Revolution Analytics is a statistical software company. Equivio is startup producing test analysis software. Sunrise is a developer of calendar apps. So why is Microsoft acquiring small companies? They know that these companies will be very useful and helpful for their products. Therefore, driving up the sales. When they drive the sales (revenue) up, they will make us, the shareholders (or potential shareholders) happy. Last reason to invest in Microsoft is its dividends. MSFT gives annual dividend of $1.24 at the yield of 2.83%. 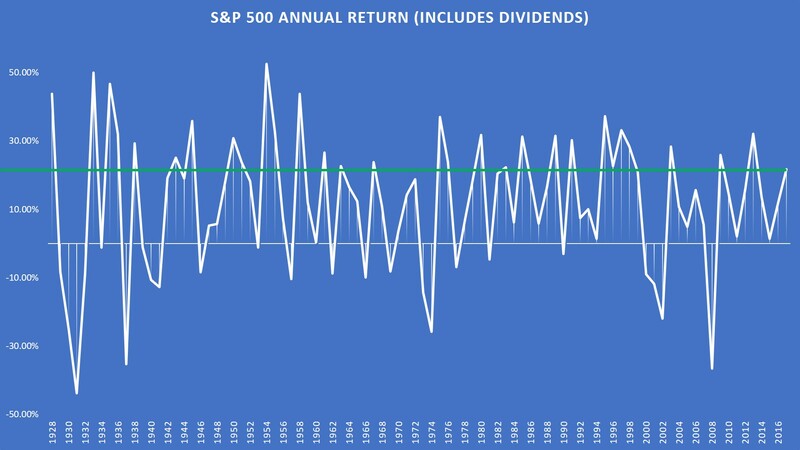 I would reinvest the dividends, known as DRIP (Dividend Reinvestment Plan). Why? There will no fees or commissions to reinvest, buying additional shares or fraction of a share. Over the long-run, it will benefit you as reinvestment adds up. If you have any opinions, etc, feel free to leave comments or contact by email (khojinur_us@yahoo.com). Write “FMITBOOK” on subject line. Thank you. UPDATE 1: I’m still watching MSFT (Microsoft stock ticker) for a good entry. I will go long on it in the future at a good entry price. Microsoft stock and other blue chip stock fell after Intel slashed revenue outlook due to weak PC demand. 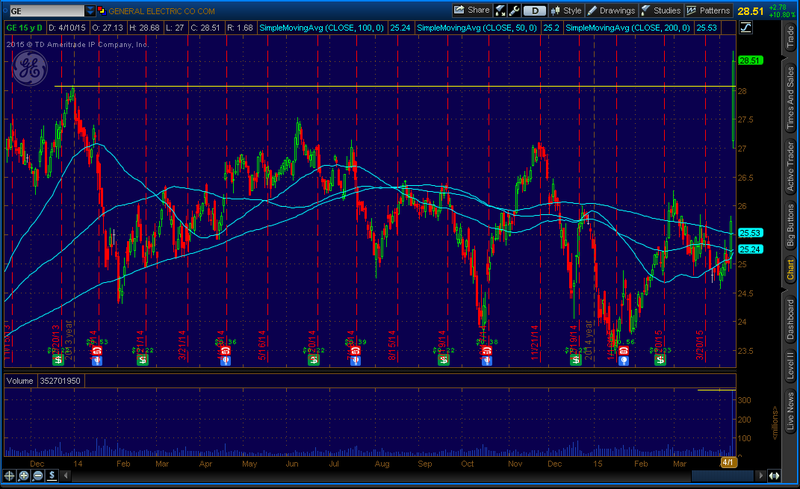 The decrease in the price of MSFT is still a good buying opportunity. (http://www.outofwacc.com/update-on-microsoft-rbnz-and-upcoming-events-to-watch-out/). 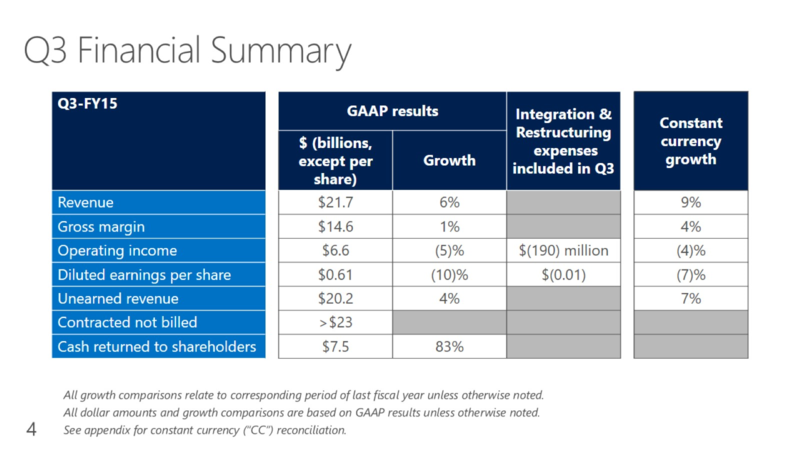 UPDATE 2: Microsoft FY15 Q3 earnings (http://www.outofwacc.com/microsofts-earnings/).